No. J-2-8, Block J, Jalan PJU 1A/1, Taipan Damansara 2, Ara Damansara, 47301 Petaling Jaya, Selangor, Malaysia. 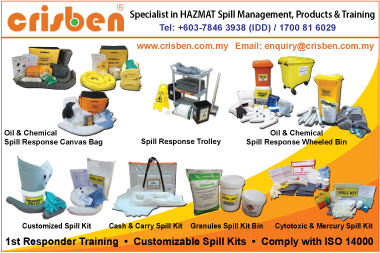 Crisben (Malaysia) Sdn Bhd, formerly known as Sorbex (Malaysia) Sdn Bhd has been in operations for more than a decade mainly researching and developing products for a complete industrial oil cleaning chemical and training solution. We deliver to our Customers from a broad range of oil related industry, oil spill containment and total clean ups products. Environmental preservation and health concerns are the prime concern of Crisben. 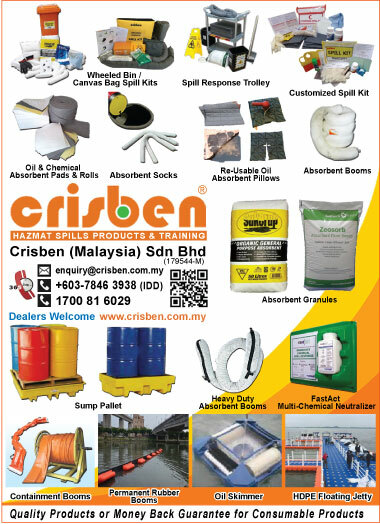 Crisben Malaysia is rapidly emerging as the national promoter in the shift from use of traditional clean-up techniques to safe economical organic solutions. Crisben products are used in a full spectrum of companies from multinational enterprises to privately owned businesses. Environmental safety and health hazards are the prime responsibility of all.